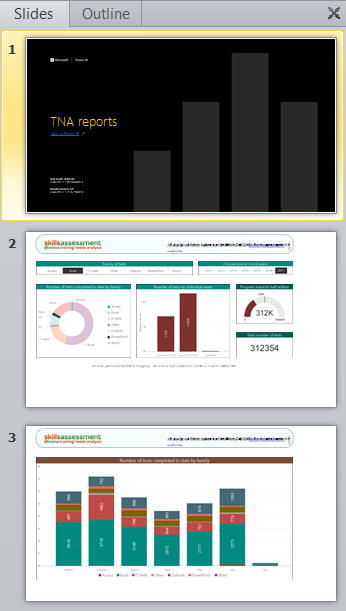 You can save your report as a single file (and then share this) in various ways, as shown under separate headings below. 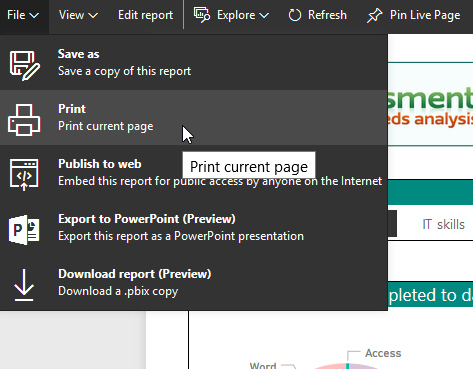 Note, however that none of these options would allow people to refresh the report at any time, to see changes in the underlying data, and all of the options only work if you have Power BI Pro. While editing a report, choose to print it as shown here from the File menu. Choose to print to a PDF file. Note, however, that this only prints out the current page of the report. 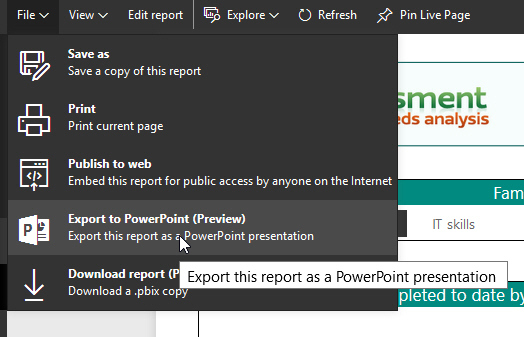 While viewing a report, choose this option from the File menu. I only added this for something to do while I wait! 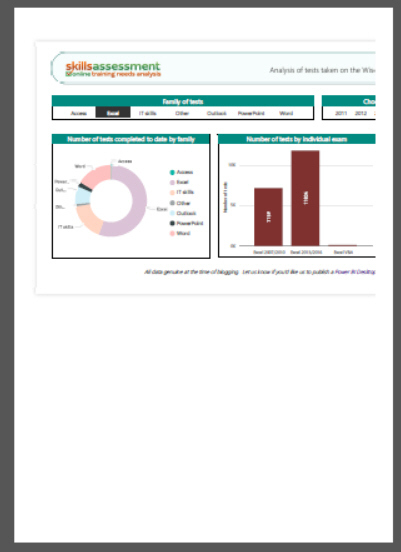 A slick presentation, with a front screen linking you to the different pages of your report. The text boxes look a bit funny in places though, although you can't quite see that in this diagram. This feature is again in preview mode, but seems to work fine. 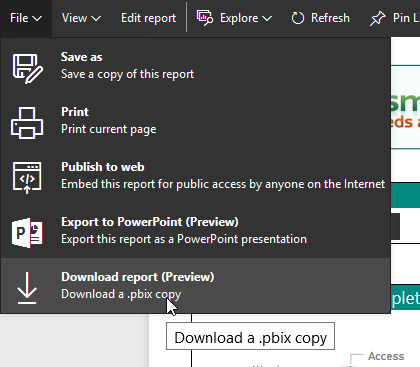 Choosing this option on the File menu generates a PBIX report which you can then open in Power BI Desktop.